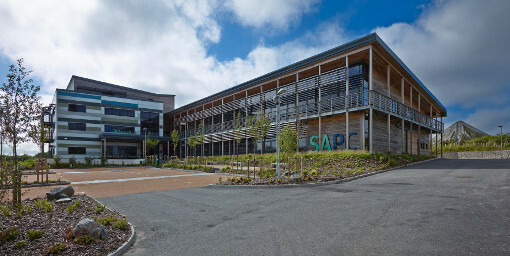 St Austell Printing Company (SAPC) relocated to its brand new purpose-built premises in St Austell Business Park in March 2013. This £6.2million flagship facility has been part funded by the ERDF Convergence programme and has provided the company with an opportunity to improve efficiency and build capacity in terms of its machinery, workflow and staffing. As part of St Austell Printing Company's investment plan, the company has purchased an Epson Stylus Pro 9890 44” wide format printer from Epson-reseller Stanford Marsh Group Graphics (SMGG). Since its installation in September 2013, St Austell Printing Company has been using the printer for all types of wide format applications across multiple indoor substrates. The company creates promotional materials for a wide range of clients including designers, conferencing companies, galleries and architects. Designed to help the proofing and display graphics markets create accurate prints at high speed, the Epson Stylus Pro 9890 is able to achieve one of the highest colour gamuts on the market with consistently smooth colour gradations. Prior to the installation of the Epson printer, St Austell Printing Company had also ordered a Canon Plotwave 360 machine from SMGG and was happy with its performance. Following a review of the company’s wide format print requirements going forward, the natural progression was to add the Epson Stylus Pro printer to St Austell Printing Company’s stable of printers.